In a basement in New England, I found a secret treasure of great wines. Great French wines in cases! As I visited my cousins in September, one acquaintance of them revealed that her husband was an ardent wine collector, and she asked my to take a look, to see whether there would be something of interest. I am no great wine expert, but I know my ABC of good wines, and particularly the French wines of some significance. Chateau Petrus, Chateau Lafite Rotschild, Chateau Palmer and Chateau d'Yquem are names most of us knows as la creme de la creme of wines. When I ascended into her basement, I discovered that I had struck gold. 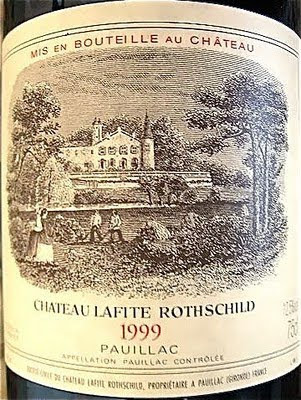 She had a case of six dusty bottles of Chateau Lafite Rotschild 1999, wine from a prime producer in Pauillac in her cellar amongst many other dusty bottles of wine. "A vintage that the French are already drinking but which seems a bit callow to anglo-saxon palates. Pauillac did especially well although so did Chx Lafleur, Margaux and Figeac. 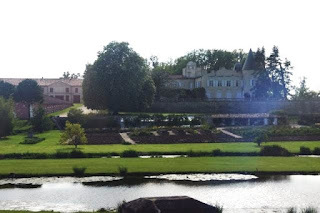 Talbot and Mouton-Rothschild stablemates d’Armailhac and Clerc Milon are bargains, the Lynches and Pichons reliable." "What can you say about this wonderful, proud, noble, elegant, silky and complex wine with intoxicating perfumes...Nothing finally, only that perfection has been achieved..."
A quick research revealed that this case of wine was worth more than $3000!! There were numerous other Spanish and American wines as well, most probably of high quality. I told her there and then, that this was great stuff. I made a query on the internet when returning to find the price. I am looking forward to meet her again to see what she has done with this wine treasure. I hope she and her husband open a bottle to taste. She should be aware, though, that the expert recommends that these wines reach their peak from 2017, depending they are stored under good conditions.